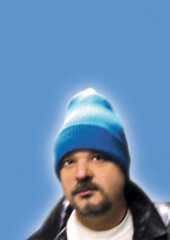 Anyone who’s spent time in web design/development, and who belives in the magical (some would say ‘fairie-induced’) nature of web standards, knows about Jeffrey Zeldman. As one of the original standardistas, he’s given much thought to good content and correct markup. So there’s your introduction. It’s a well-thought-out approach to building your websites in a modular fashion, so that the pieces are easy to update and can be used across pages to reduce bandwidth. This separation results in websites that are adaptable across many different browsers, platforms, and devices. Where are the lines? Does it matter? In CSS3, there’s also a bit of hubbub over the animations and transformations. When you can effectively code a movie using only CSS and a bit of HTML, are you going too far? As well, those seemingly-action-based animations or hover or transformations may be entirely presentational, so it makes sense to put them in CSS. And you can do so much with it. We should be very careful when adding new mixes to the specification, but there’s no reason to ban that outright. Meanwhile, developers need only keep mindful of their reasons for implementing things the way they are.